Oh my goodness where has the week gone? 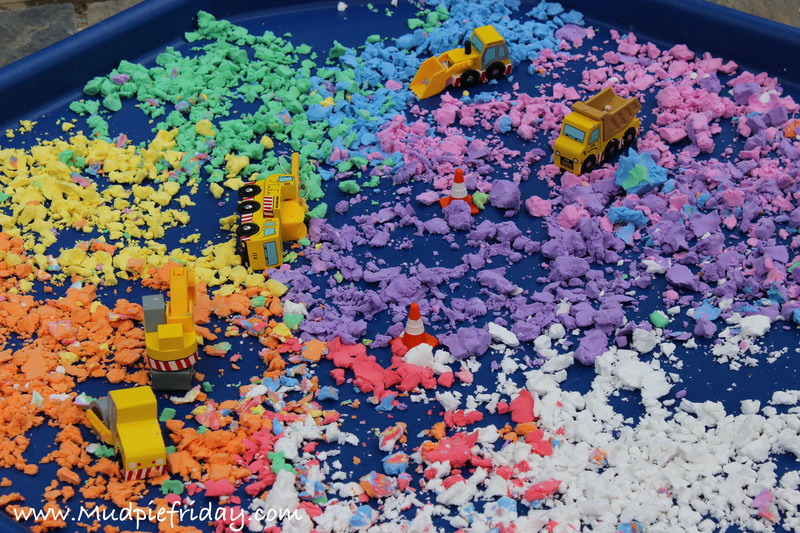 It feels like only yesterday I was writing my normal weekly post! I think thats probably partly to do with the fact that Hubby has been in Germany all week. So I have gone into survival mode as the juggling gets that little bit harder with just one of you. 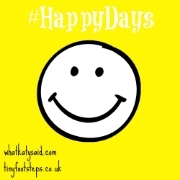 If this is the first time you have come across the Happy Days Linky it’s hosted by WhatKatySaid and Jenna at TinyFootSteps, please check out their blogs when you get a minute for some inspiration. And if you want to join in then please do, you can find more details here. 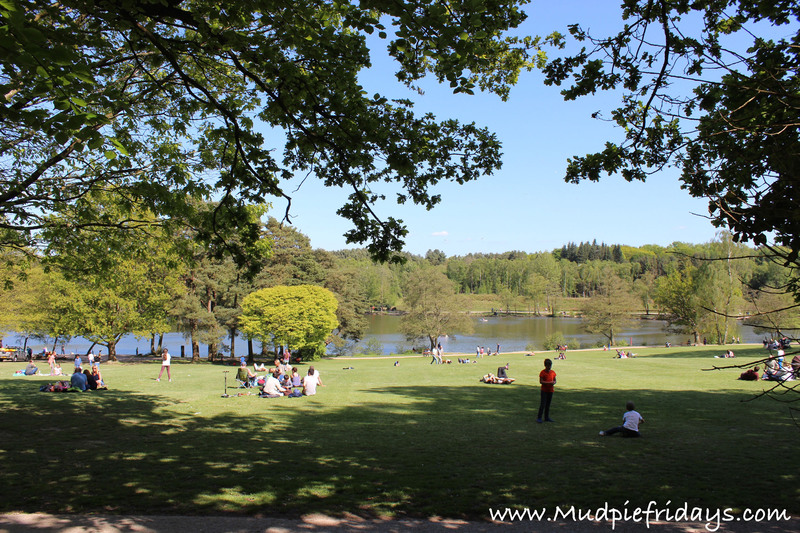 Last weekend we made the most of the glorious weather and headed out to see some friends at Tilgate Park in Crawley. I did write a post all about it here so I won’t go into it now, but we all had a great time out in the sunshine. Thursday evening after nursery I surprised Monkey with a trip to the swimming pool, he was missing his daddy and since he had been so good about the slides not working last week I thought it would be fun. I had been assured that the slides would be working as they run weekday evenings until 7pm. He was so excited about going on the slides talking about it in the back of the car …..but as we walked into the pool area I had that sinking feeling when I didn’t see lots of children queuing up ….. they weren’t running again! This time because they were short staffed. I was so annoyed. Monkey dealt with it well again. In fact he’s had to deal with quite a bit of disappointment in the last couple of days…. I have been writing a post about days out in Hampshire…its one of those posts which doesn’t seem to be flowing so is taking longer than expected. 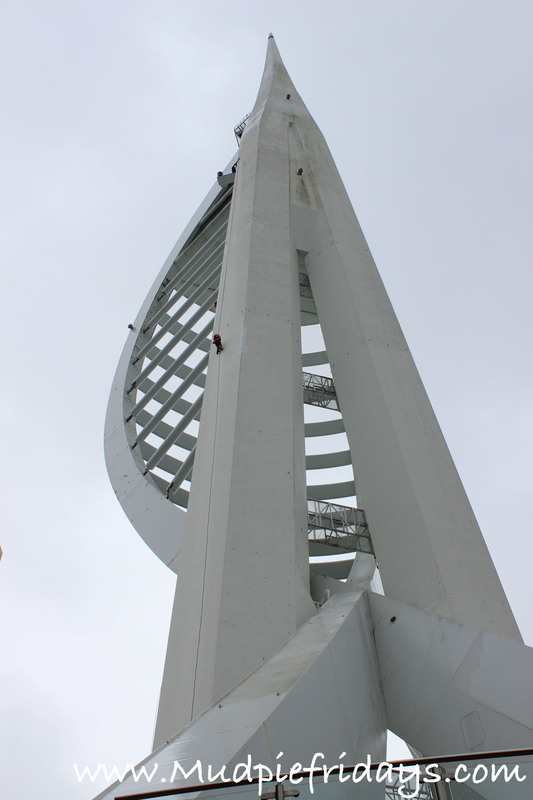 Monkey had found the days out leaflets and liked the look of the Spinnaker tower, requesting that we go up it. So when Friday morning came round we decided to go on a road trip after our normal music bus class. Its a reasonable drive for us (a hundred mile round trip). He was so excited walking through the shops, especially when he had caught a glimpse of the tower. But on arrival we discovered the lift was broken. Its hard work explaining to a three year old that they are not big enough to climb the 530 steps to the top. There was no mention of the issues on their website that morning. Annoyed doesn’t really explain how I was feeling! I’m hoping thats the end to our bad luck and the rest of the weekend will pan out as planned. Last Sunday we had fun with Moon Dough it held Monkey’s attention a lot longer than I expected. I was so impressed I wrote a whole post on it here. 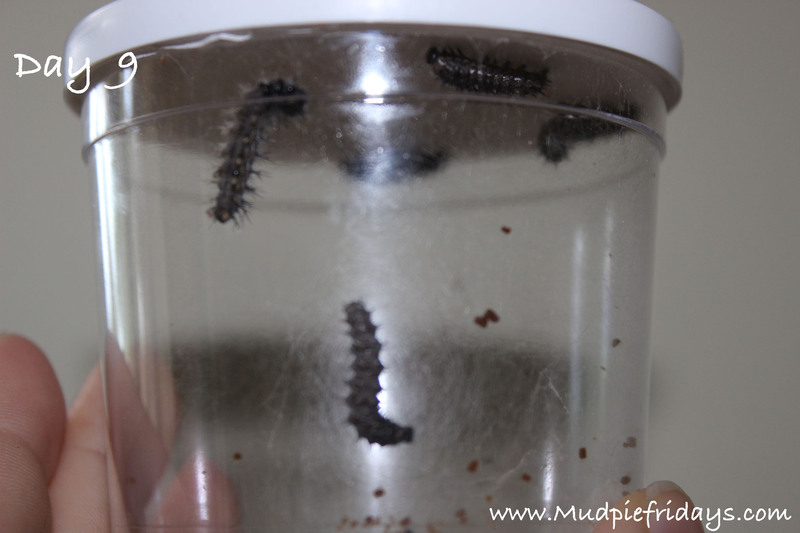 We have also been monitoring our caterpillars and have been quite surprised by how quickly they have grown, I don’t think it will be long now until they turn into chrysalises. 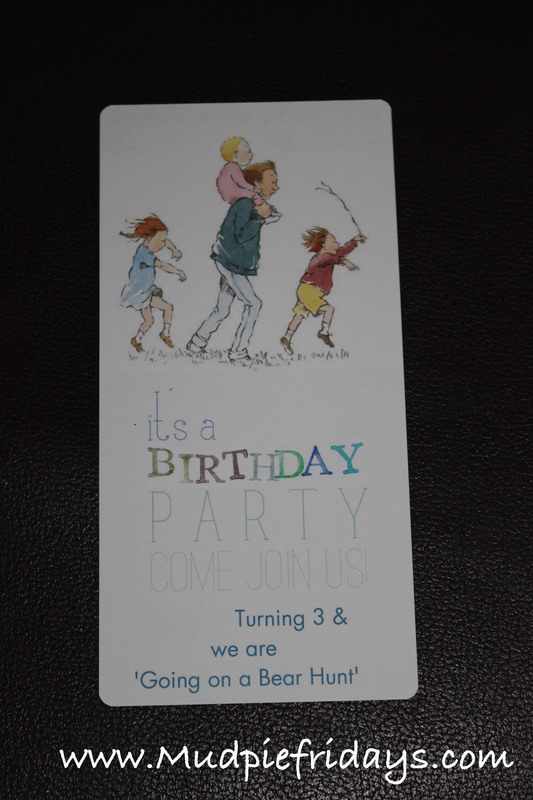 I am also really excited that Monkey’s party invites have arrived so I have been busy sending them out to his little friends. I am in denial at the moment of the workload ahead of me (we are holding the party at home). I am sure it will dawn on me soon! This hasn’t really happened this week partly due to work commitments and needing to travel into London two days this week and partly due to Hubby being out of the country. However I had it in spades last week so I haven’t really noticed it. I will try and make a conscious effort next week to schedule some time in! Despite the slides not working swimming with Monkey was great fun, its nice to just play and not have to follow instructions, like when we are in swim class. We spent a reasonable amount of time pretending we were crocodiles ‘eating’ the bubbles and the catching fish and feeding them to each other…I love how his imagination is really starting to come on. Your moon dough looks fab, it’s one thing I’ve been meaning to make for ages but never get around to doing.